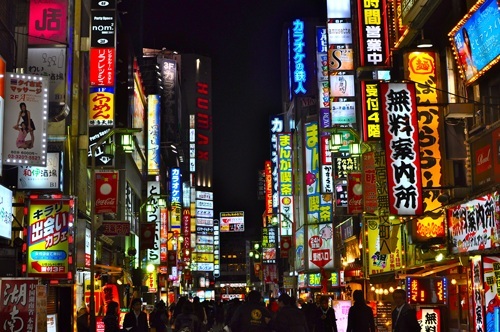 United Airlines is showing flights from Edmonton to Tokyo, Japan for $596 CAD roundtrip including taxes. Various other places in Japan are available for $98 more. or January, February, March, and April 2017. TIP: Try Monday to Monday or Thursday to Thursday dates. They seem to have the most reasonable travel lengths. Click on 'Max 1. Stop' on the left hand side after the Momondo search completes. a) finding dates with a reasonable travel duration. A lot of the flights have overnight stopovers. b) finding ones where the price actually verifies when you get to FareBoom. A lot of them are jumping up in price by $327 when you go to actually book them. Not all of them though. So far I've had the best luck with verifying the prices that are $596 roundtrip. The ones that are $566 don't seem to ever work. Note that the first result shown on Momondo doesn't always seem to be the best flight option. Momondo may display a message about 'grouping together similar results'. You should click on that, to expand the results, so you can see all the different flight options. Once you've expanded the results to show all flight options, you may find better/faster flights for $596 by scrolling down. 3. Click through from Momondo to FareBoom for booking. It's a little worrisome that FareBoom is the only booking site showing this price at the moment. Sometimes it's an indication of a price that the booking site can't come through on. But there have been some extremely low prices to Tokyo offered from Canadian cities at various times in the last 6 months offered by United and ANA. 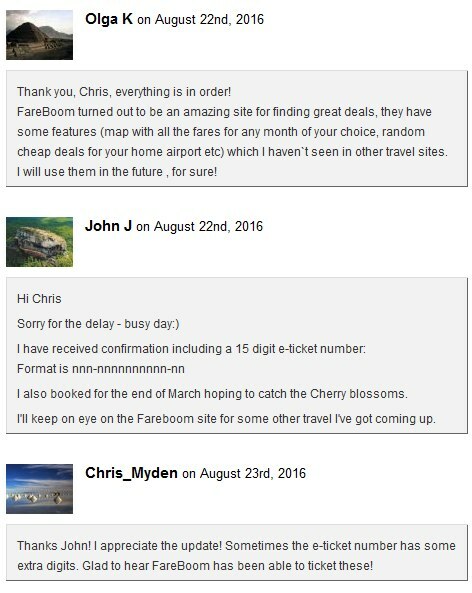 UPDATE 8/23 - It looks like FareBoom has been able to get these flights ticketed. e-ticket numbers have been issued (meaning the airline has issued an actual ticket #, solidifying the booking). UPDATE 8/23 - Edmonton to Sapporo, Japan (CTS) or Nagoya, Japan (NGO) is also available for $694 to $723 CAD roundtrip including taxes. Sapporo is a great airport to fly into if you've ever wanted to try skiing in Japan (Jan/Feb/Mar is ski season). The famous Sapporo Snow Festival is in February. ^^ ignore the flights for $683. They won't verify on FareBoom . Scroll down and try the $723 flights. Edmonton to Okinawa, Japan (OKA) is also available for $694 CAD roundtrip including taxes. "Okinawa has a sub-tropical climate, with temperatures rarely falling below 15C even in winter. The seas surrounding Okinawa's islands are considered among the world's most beautiful with coral reefs and abundant marine wildlife. Consequently, snorkeling and scuba diving are among Okinawa's top attractions." What about flying into one city in Japan, and home from another? I have found that it is possible to find multi-city fares for around $654 CAD including taxes. This is a great way to start off (or end) in Tokyo, and explore the rest of Japan without having to backtrack. ^^ Osaka is a short high speed train ride from Kyoto. ^^ The fares that come up as $619 do not verify when you go to book them. Focus on the $654 or $656 fares. ^^ The first fare displayed is not always the fastest flights. ^^ I found that Tuesday to Tuesday, or Wednesday to Wednesday, or Thursday to Thursday date combinations work best, and the fastest flights had 18 hours of travel time there, and 25 home. ^^ The fares that come up as $610 or $641 do not verify when you go to book them. Focus on the $644 or $647 fares. ^^ I found that Monday to Monday, or Tuesday to Tuesday, or Wednesday to Wednesday, or Thursday to Thursday date combinations work best, and the fastest flights had 18 hours of travel time there, and 23-25 home. ^^ Focus on the $644 or $647 fares. The $647 fares seem to be the best ones. What about ditching Tokyo altogether? It does look like you can mix and match the 2 Japanese cities you fly in and out of, and Tokyo does not need to be one of the destinations involved. For example, into Okinawa (OKA) and home from Sapporo (CTS gives a price of $694. There are all kinds of different possibilities. Try any combination you want, and follow similar advice given above about which dates and days of the week to try. edmonton, yeg, flight deals, asia, east asia, united airlines, japan, tokyo, sapporo, cts, okinawa and oka.